New development challenges continuously call for yet another things to be done to circumvent the tricky limitations all big name platform providers impose on us for whatever reasons. Nevertheless we, at Apitron, believe that it just makes our software better and if one could use a rewording – cuts it like a diamond for it to become an even better all-around tool for our customers. We already went a long way to make our tools cross-platform with .NET, MONO and Xamarin, so now they cover many usage scenarios and provide a solid toolset for creating full-cycle PDF processing apps. 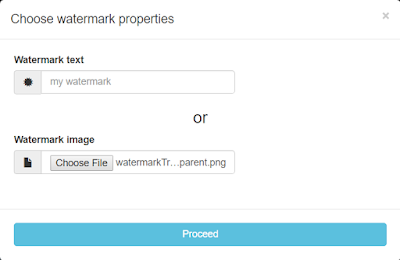 But we have even more to offer, a web API for PDF processing with the focus on signing and watermarking of documents. It’s designed to be hosted in-house but we have a demo installation publicly available as well. Like it has been said before, the API can be hosted anywhere including your own server if you need. 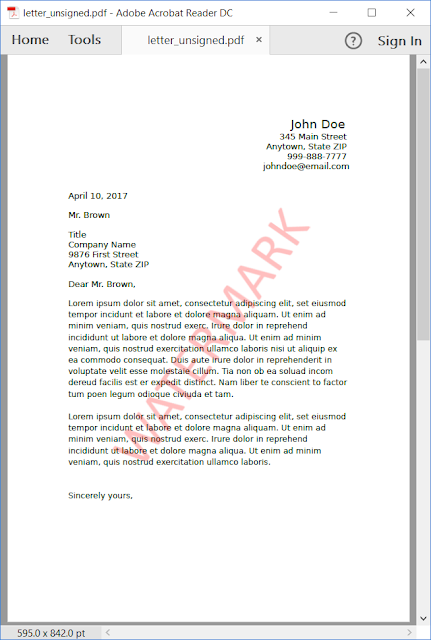 It supports signing and watermarking of PDF documents and we have set up a test installation for you to try it out. The slides below demonstrate the user interface of a test client web app that makes use of the aforementioned web api and is available for download from our github repo. As the first step after downloading, you’d have to configure the app to use the right web api installation URL by editing the “ServiceUrl” in its web.config. We used our demo url here. 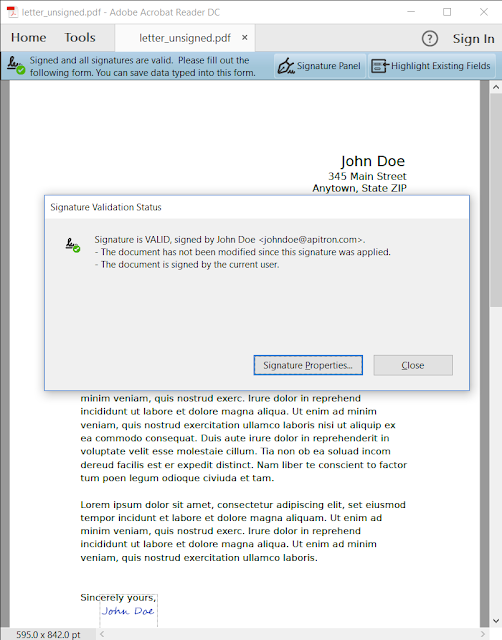 After setting up the desired signature properties as shown on the next slide, we will get our doc sent to the server, signed there and downloaded back. The demo installation uses https, so there won’t a be a plaintext data exchange happening and we won’t store and use any data sent to our web api except for providing you with signing and watermarking services. So here we can choose among the existing server keys for signing but the demo installation has only one such key listed (with a word “password” used as its actual password). 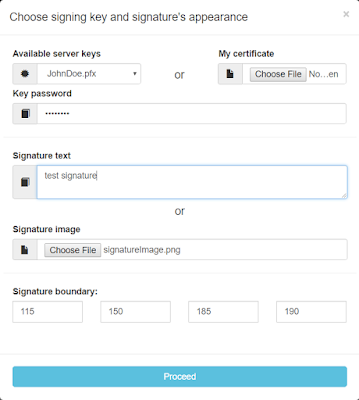 You can also upload your own key and sign with it if you wish. The purpose of having a set of pre-loaded keys is to provide an organization with a way to share certain functions among employees without actually giving them access to the signing certificates and having common keys in one place for easy management and better protection. It might be the case that you’d want to employ a HSM or other means for storing the keys. All these things become possible with a custom setup and implementation of storage modules. Contact us if you are interested to know more. 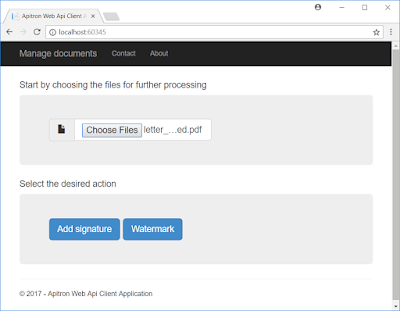 Our web API is based on Apitron PDF Kit product and requires a license for this product to become fully functional. Otherwise it will work in evaluation mode, but the important note is that web API package itself is provided free of charge. 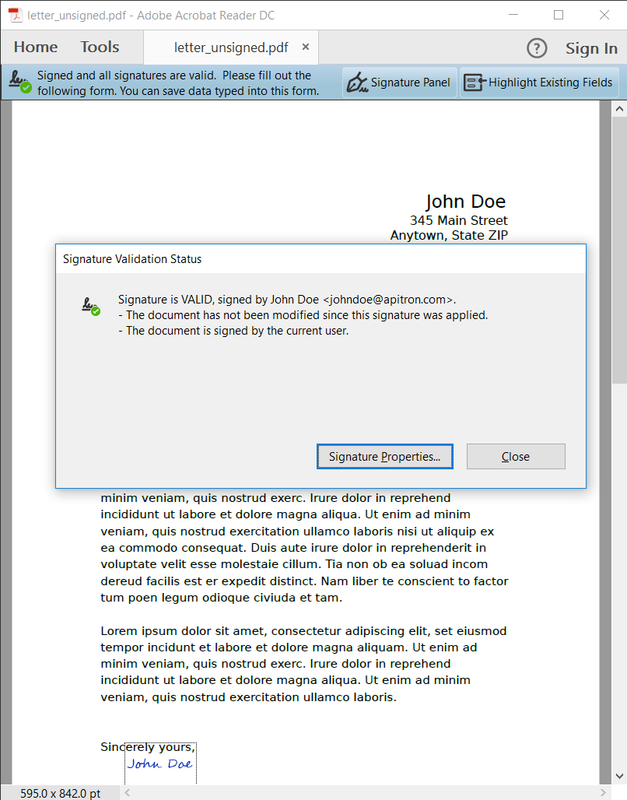 The results of the signing operation are shown below, signature image (if set) takes priority over signature text hence the name and surname represented by the supplied image at the bottom of the page. 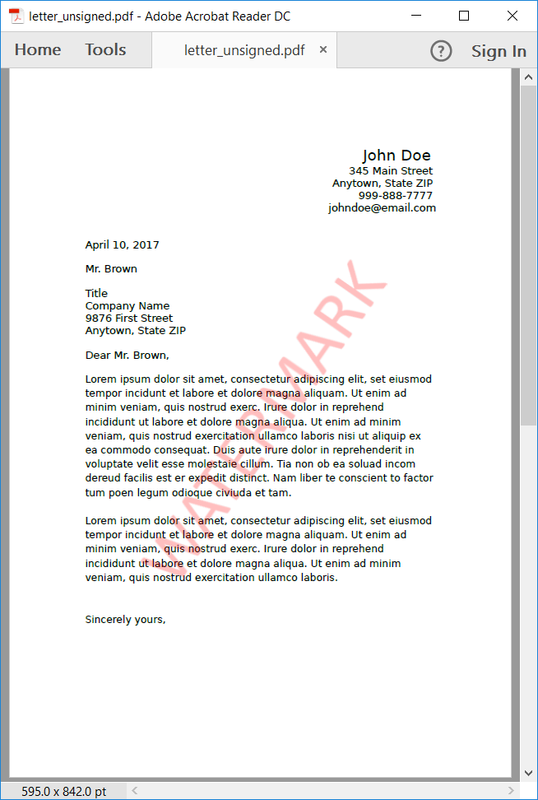 The image (if set) gets centered on the page and the text gets aligned diagonally along the line coming from the left bottom corner to the top right corner. JS code sample showing how to perform the request to the API is provided below, it is the excerpt from the client app referenced in this post, so you can examine its code and find more info there. 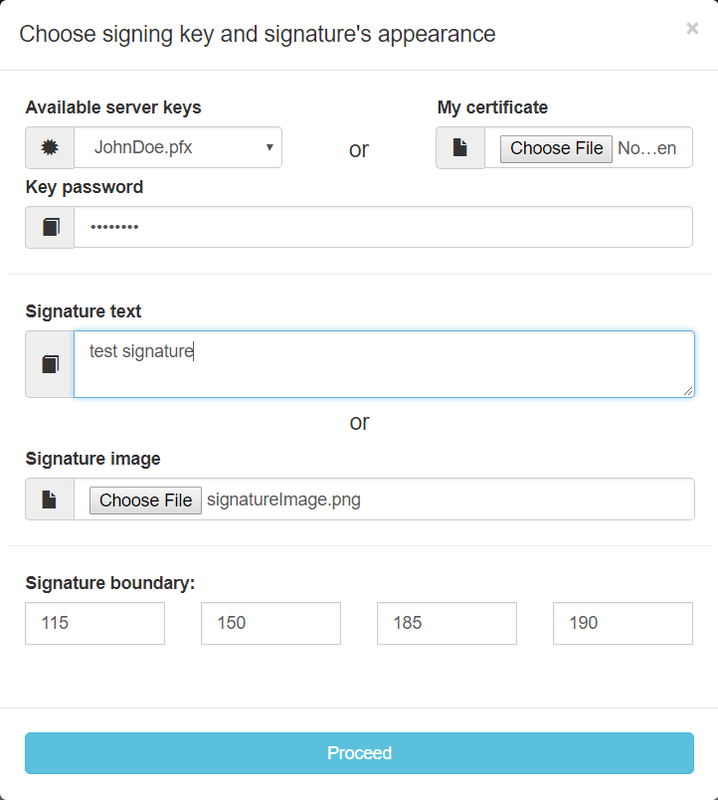 We’re performing the REST call here, namely POST the form with parameters describing our signing request, get back the signing task Id and later query the same service using the acquired task Id to get the result. We recommend looking at the sources of the sample app for the detailed explanation on how to make these calls. 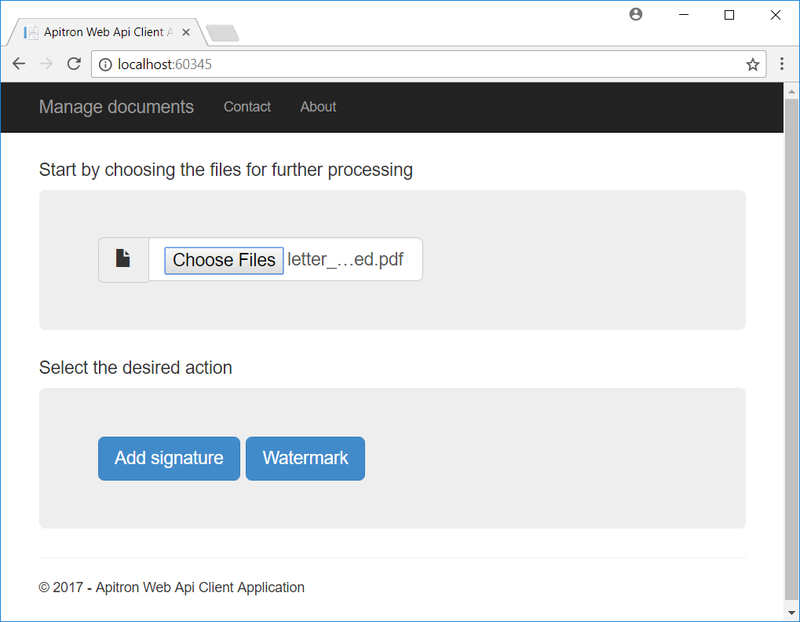 We hope that new web API will facilitate the development of your PDF processing apps. 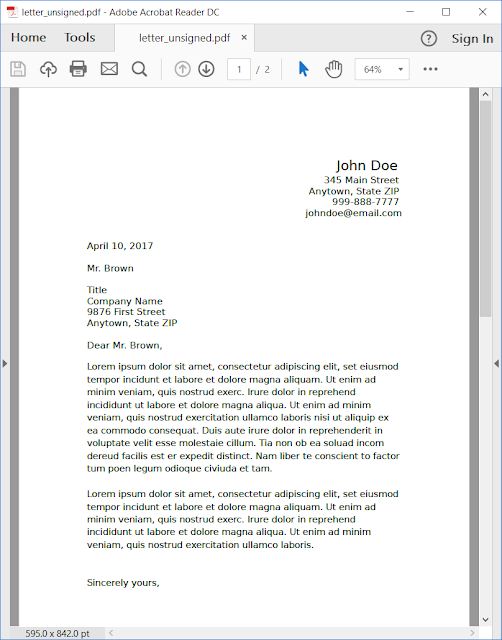 It’s never been so easy to handle PDFs just with a few lines of code and get the serious job done so quickly. An option to have your own installation of the web api free of charge is a great benefit and our professional customer support can always help you with any questions you might have.